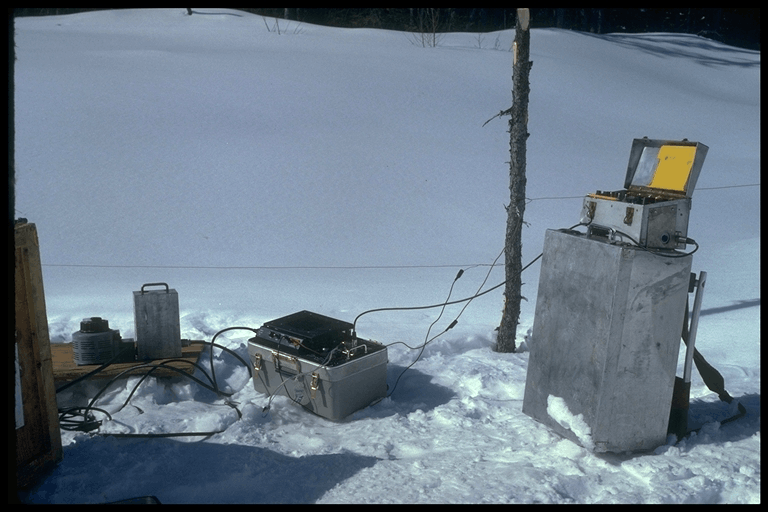 History of Lamontagne Geophysics Ltd.
Lamontagne Geophysics Ltd. was founded in 1979 by Dr. Yves Lamontagne to pursue a new direction in electromagnetic geophysical exploration. The commercial expression of our technical development is the UTEM system. The UTEM system differs from conventional TEM systems since it was designed to measure the step response of the earth (other TEM systems measure the pulse response) by transmitting a unique UTEM waveform. Throughout the years, the TEM technology has been continually improved and augmented. Recent years have seen the TEM system improved with new hardware and software, more features, better noise reduction capabilities, and a more modern user interface. Furthermore, Lamontagne has been developing a host of interpretation software programs for analyzing survey results. Finally, the addition of ISR and CDI surveying techniques has helped diversify our services menu, making Lamontagne a leader in a broad spectrum of industry applications. Since its inception, the company has introduced a number of innovative products for use by the mineral exploration industry and earth scientists. The company's products and services have contributed significantly to the discovery of several major mineral deposits and to a good number of other promising mineral occurences located on almost all continents. The ultimate users of these products and services are involved in base metal exploration, uranium exploration, precious metal exploration, deep crustal sounding, and hydrocarbon exploration. Lamontagne Geophysics Ltd. was originally based in Toronto, Ontario. In 1990, the company moved eastward to Kingston, where it still resides today. Lamontagne currently employs about a dozen full-time office employees at its Kingston headquarters, with many more belonging to field crews. About half of the company's staff are geophysicists.